Bloomingdale’s is fully ready for the holiday season this year. They’ve already put their holiday window displays up for the world to see, and now they have an indoor ice rink! The in-store rink also has an area where Ralph’s—the Ralph Lauren coffee shop that had a pop-up truck in the Rockefeller Plaza this fall—will be serving hot chocolate from their coffee bar. 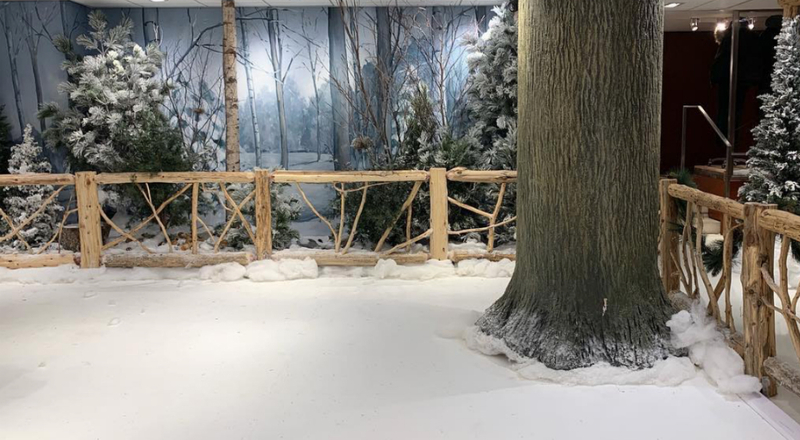 The department store also has life-size snow globes displayed around the store as well as a La Croix ice bar, and massive gingerbread house. Bloomingdale’s is certainly pulling out all the stops this season!